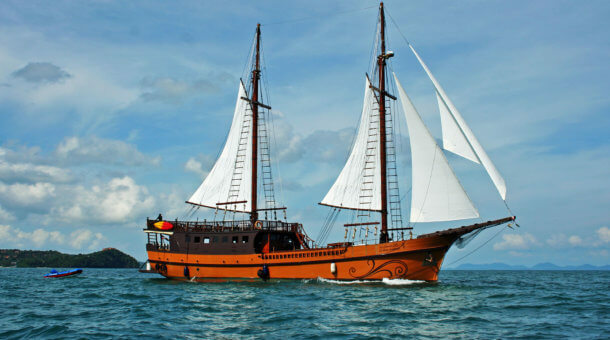 Koh Racha Noi is located to the south of Racha Yai island, takes about 45 minutes on a normal day trip boat to cross between the 2 islands, so about 2 hours 15 minutes to Racha Noi from Chalong Bay. The surrounding waters are deeper here, with a sandy slope heading down to about 70 meters around the island. If you head southwest for about 25 kilometers you reach deeper waters around 200 meters deep. In that direction the next land you reach is Sumatra about 300km away. This means that Racha Noi can be a place to find some bigger fish that come from the deeper water looking for food or a cleaning station. 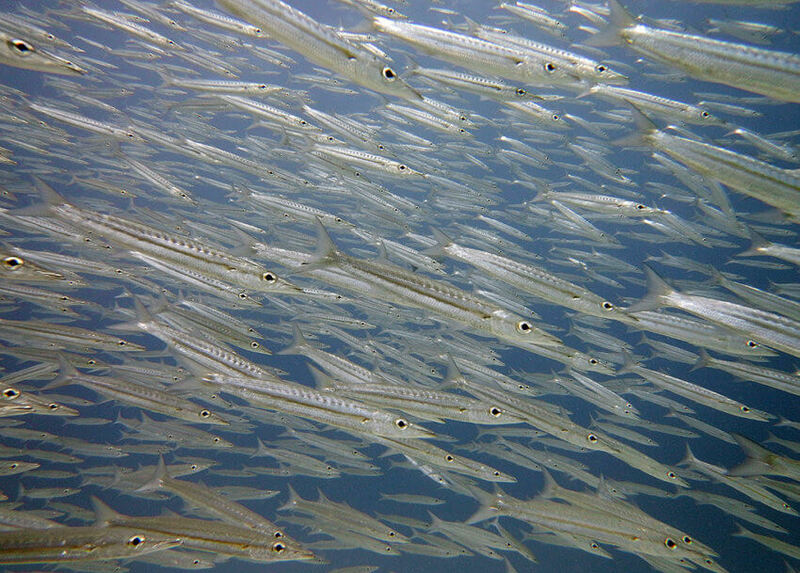 Manta Rays, eagle rays, big schools of barracuda can be seen here. 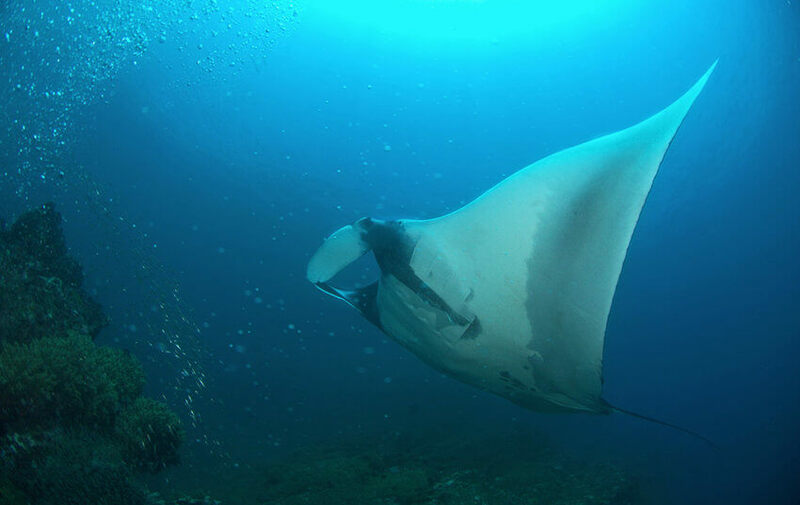 Mantas are not so common, most likely to be seen at the ‘South Tip’, a deep dive site only suitable for Advanced divers, but sometimes the bigger fish head into the main reef at the south of the island. There are several dive sites here. Banana Bay is probably the most dived because it has a shallow bay with depths from 3 – 10 meters, making it great for first time divers. Outside the bay a gently sloping reef reaches about 25 meters depth. You may find schools of snappers, small barracudas, moray eels, triggerfish, butterfly and bannerfish. This site is on the east coast and mostly dived in our “low season” when prevailing winds are from the west. Another bay further south is called “Racha Noi Bay” close to the south tip. It may be possible to drop experienced divers at the south tip and let the newer divers dive here in the bay. Keep an eye out in the blue here because bigger fish are more likely to be found. 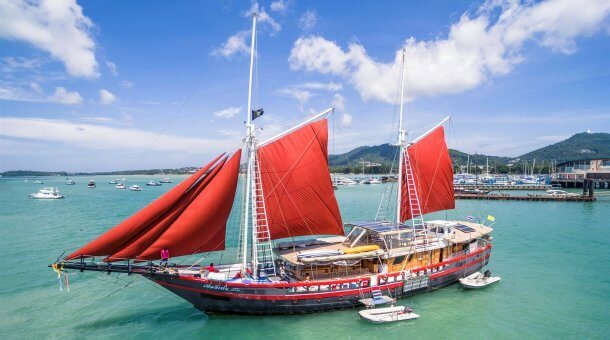 The South Tip itself is right at the south of Racha Noi and you see some huge granite boulders here which makes the site look very similar to some sites in the Similan islands. The dive can be a deep one to 30m or more. Marina Bay is on the west coast, and is mostly rocky with many swim-throughs and depths from shallow to 30 meters. The bay is sand / rubble and there are large boulders in the deeper areas. 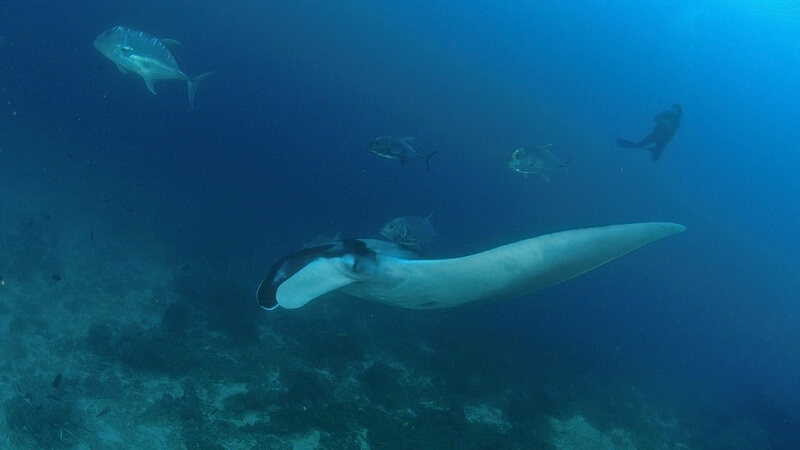 Mantas are known to “fly” past here. Other common life includes schools of fusiliers, parrotfish, stingrays. 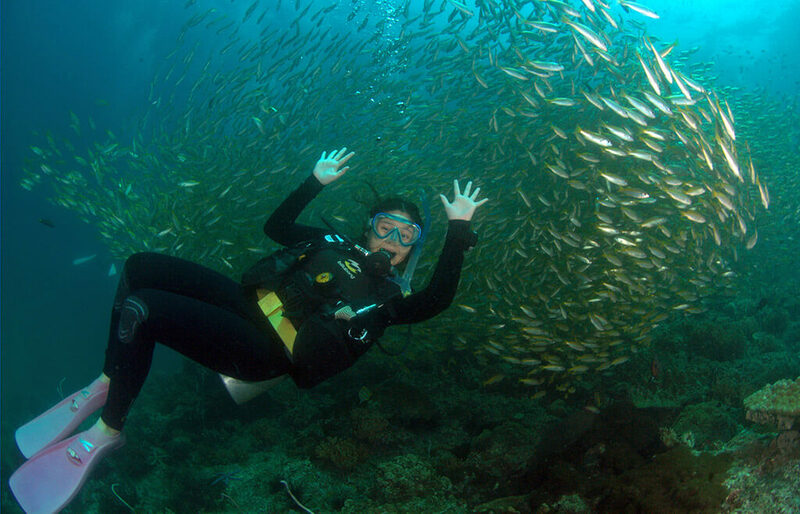 Racha Noi can be dived year round from Phuket. 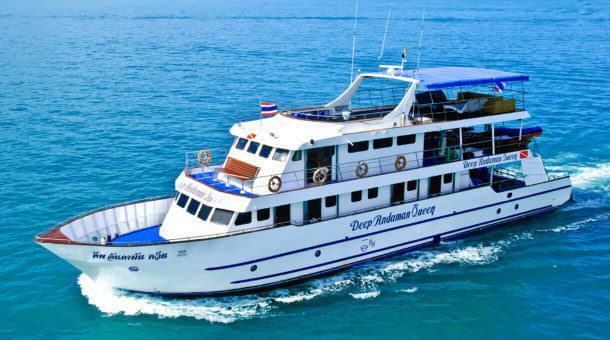 There are 3 dive day trips every day combining Racha Noi with Racha Yai Island. 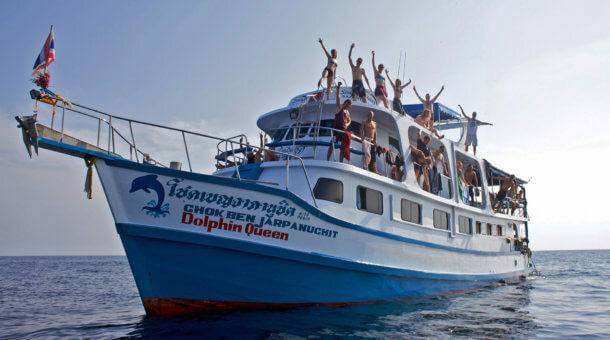 The trips are suitable for all divers. We can take first timers here, or advanced divers.